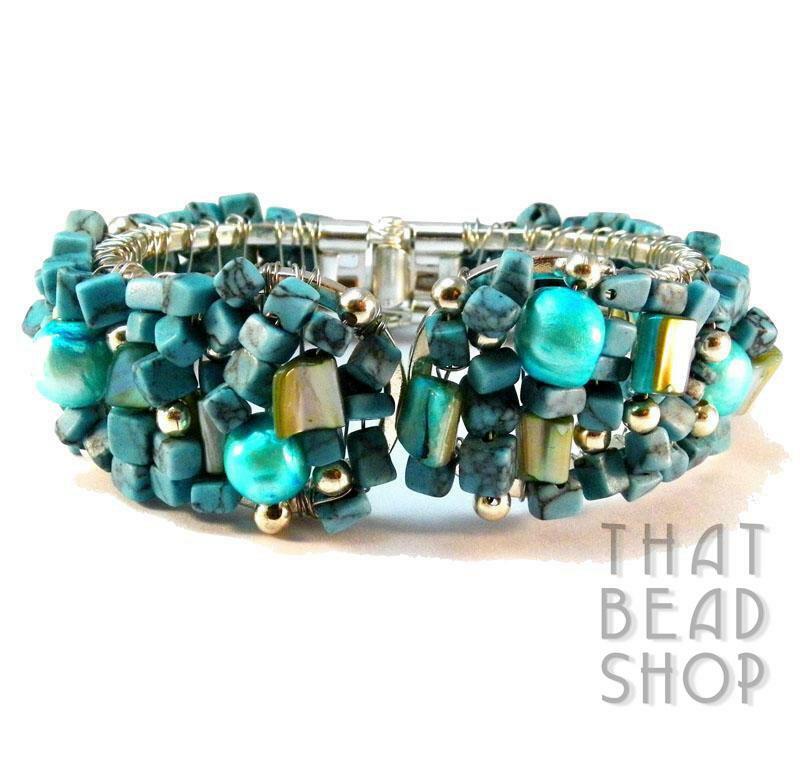 This kit includes all of the materials and beads to make the Turquoise "Cleopatra" Wire Wrapped Cuff as featured in Creative Beading Magazine Issue 8-2. Starting with a Hinged Cuff Frame, this Wire Wrapped Cuff is as individual as it is elegant. It brings together a combination of Gemstone Chips, chunky Pearls, and Shell that allows you to apply your own touch of creativity to create a unique wire wrapped cuff. The sytle and colour combinations evoke thoughts of the days of Cleopatra with an individual piece that that is stunning yet subtle and make it a great addition to any jewellery collection. Also available in Black Obsidian, Watermelon Quartz, Tigers Eye, Green Aventurine & Amethyst for you to create a complete set. 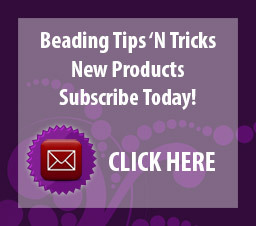 The kit comes with FULLY DETAILED INSTRUCTIONS on how to create this one of a kind Bracelet. The kit does not include the Tools (available separately) required to make this piece.